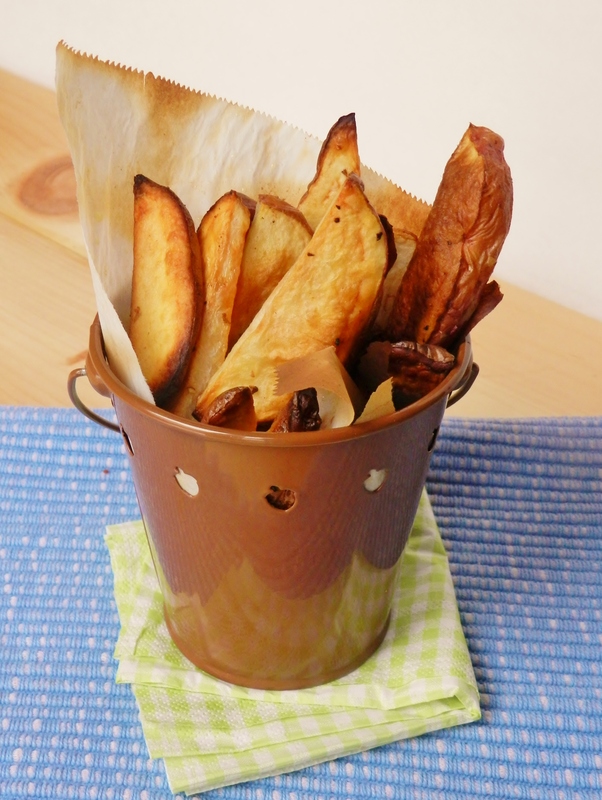 Today we would like to share with you our trick for getting super-crispy home fries. But first, a confession: neither of us really like french fries. We know, we know, we’re crazy. But it just seems to us that fries are always either too salty, too greasy, too soggy, or just plain unappealing. So do you want to know the trick? Broiling! 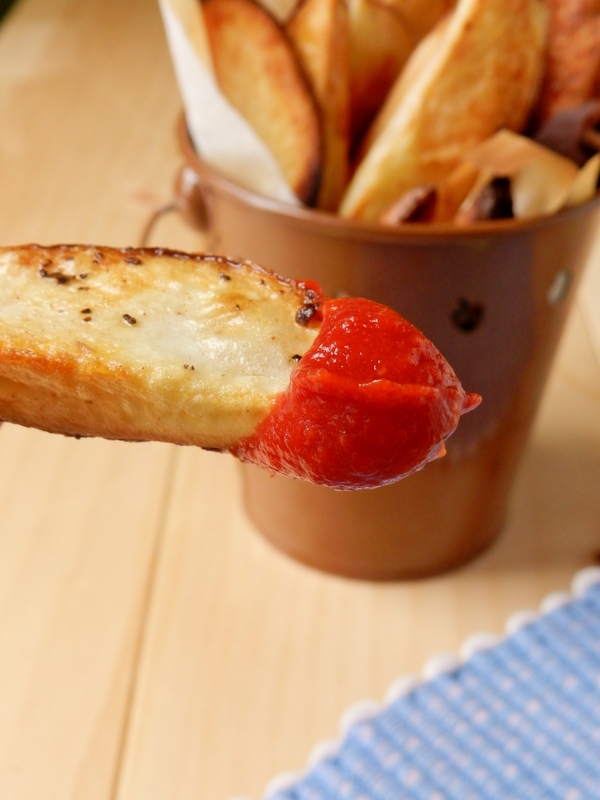 Yep, it’s that simple- just switching your oven from bake to broil and you can easily amp up the crispy-factor without having to add any extra oil! So why not make some fish fingers, and have yourself a healthy version of the classic British meal? Turn your broiler on to high setting (around 500F). Place the oven wrack at the top of the oven, about 4-5 inches away from the heating element. 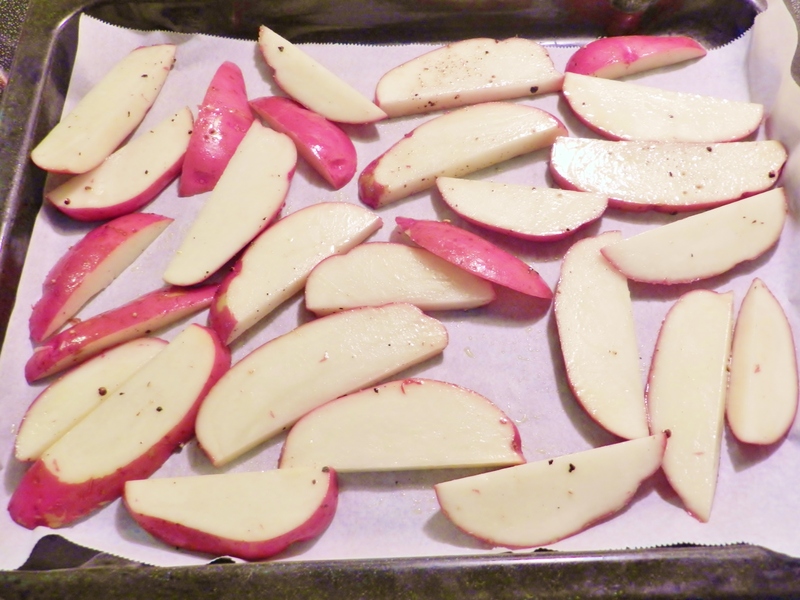 Place the wrack in the oven and broil the potatoes for 10-15 minutes, or until they’re nicely browned (see the photo at the bottom). 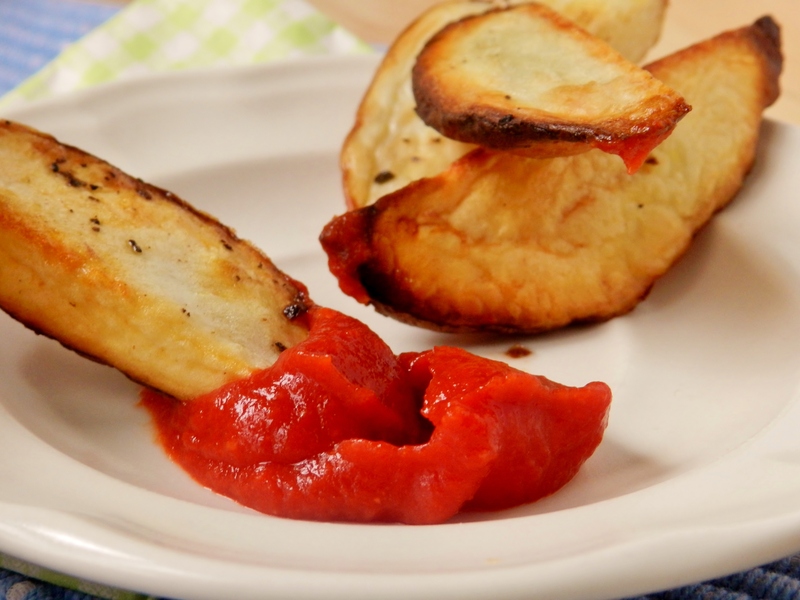 Remove the wedges from the oven and turn it to bake, with the temperature at 400F. 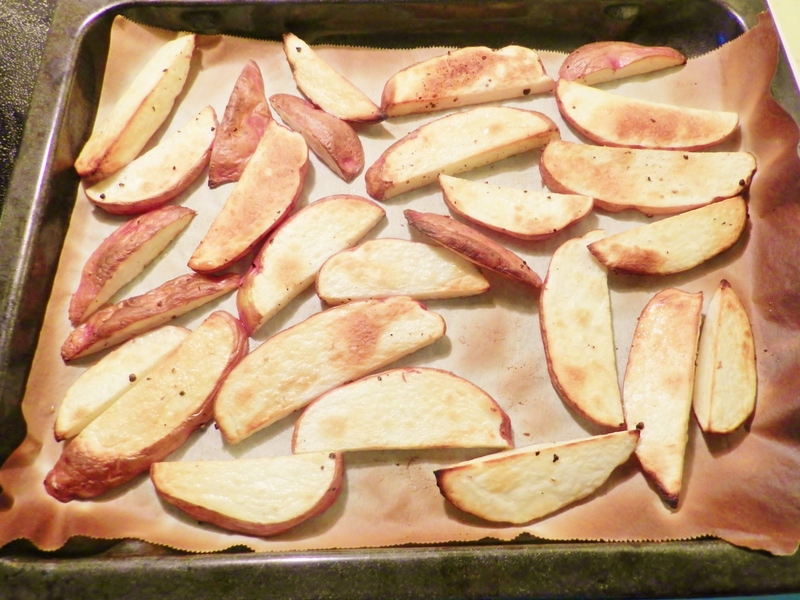 Place the potatoes in the centre of the oven, and continue to bake for another 20-25 minutes, or until they are soft and easily pierced with a fork. 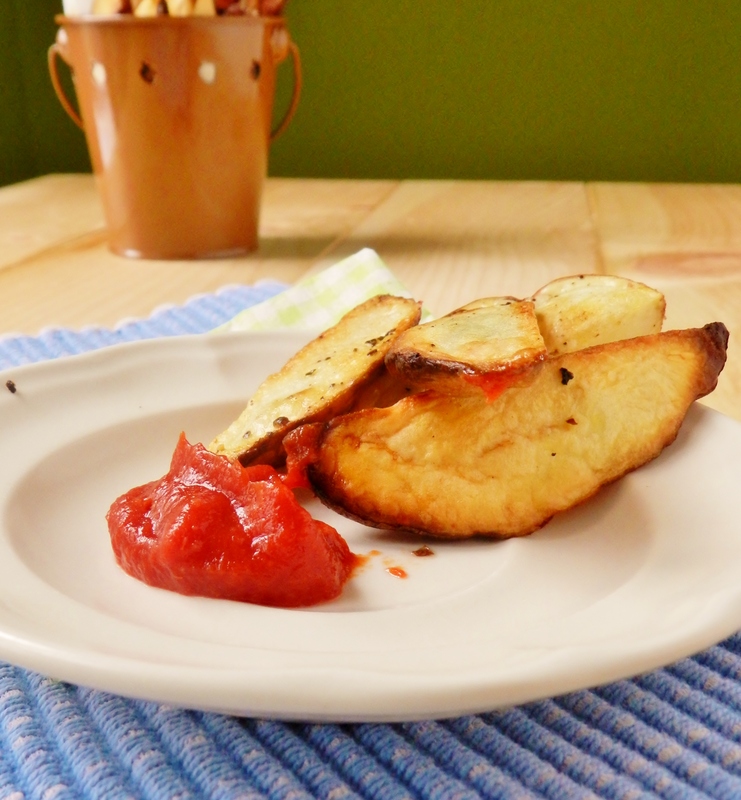 Posted in Uncategorized and tagged baked fries, broil, dinner, easy, fish and chips, fish fingers, food, french fries, healthy, heating element, home fries, homemade ketchup, ketchup, low fat, low sodium, potatoes, simple sunday, vegetarian, wedges. Bookmark the permalink.